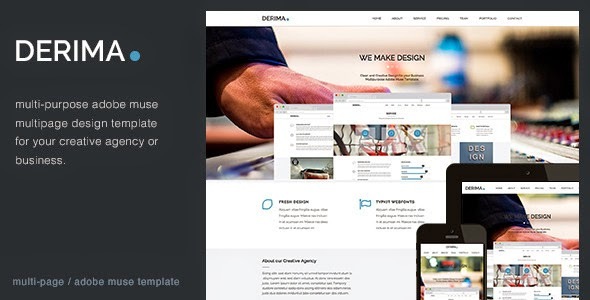 Derima is a modern and clean Adobe Muse template designed for Corporate, Creative, Agency or Multipurpose. Its a a Multi Page Design Version. To edit this template with Adobe Muse is very easy! You can change colors, texts or replace the images in a few minutes. Desktop Tablet and Mobile version are included! Item Reviewed: Derima Multipurpose Muse Template 9 out of 10 based on 10 ratings. 9 user reviews.